"Would you say the value of social media is more in improving general brand awareness rather than directly generating sales?" I would say the real value of social media is none of the above (improving brand awareness or directly generating sales). We'll dig into those more in a minute. But first, I'd like to address the question and give my opinion on the real value of Social Media. As you know, people are bombarded with commercial messages all day, every day. The last thing they want is more noise in their Social Media streams from brands trying to sell them something. I would not recommend using Social Media as a bullhorn, or another broadcast platform to yell at people in a moment they don't want to be yelled at ... about things they don't want to hear about ... in hopes of increasing awareness of your brand. If you believe lack of awareness is the problem, then Social Media is not the solution. Social Media is about connecting with people and building relationships. It's about making friends, not sales. It's about educating and entertaining. It's about knowing your audience and delivering valuable content that is personal, timely and relevant to that audience. It's an opportunity to turn strangers into friends. And then - once you earn their attention (Note: There is a BIG difference between attention and awareness) - you have the opportunity to turn those friends into customers... and eventually into advocates. And that is the ultimate goal. Advocates. Fans. Loyal customers. Why? Because loyal customers are the world's greatest salespeople. And your company's greatest asset. When you have a devoted group of followers, they do the selling for you. They sing your praises. They spread the word. And "awareness" is no longer an issue. In fact, I would say that Awareness is never the problem. Awareness is a symptom. A symptom that your product or service isn't worth talking about. So try this ... make something remarkable. A product or service that people can't wait to experience again. And they can't wait to share that experience with their friends and family. If you focus on that, then I believe you will find the 'awareness issue' will take care of itself. I'm a big believer in the idea that you must sow before you reap. You should always give people something of value first before you ask for anything in return. And Social Media gives you the ability to do that at a scale that was never before possible. But first, you have to get comfortable with the idea of giving your knowledge away for free. That is what people want and expect from brands on Social Media. They don't want to be pitched. They want to be educated and entertained. They want coupons, discounts, exclusive opportunities, and incentives. In short, they want to get to know you first, before they buy from you. So use Social Media to build rapport and establish your authority and expertise. Then, when the people consuming your content are ready to make a purchase, you will have positioned yourself as the go-to source. But even then, I wouldn't recommend using Social Media to directly generate sales. Use it as a tool to gently guide prospects further down the sales funnel. Then, when the time is right, direct them to your website (preferably a landing page) where you will give them an opportunity to place an order. Social Media is all about building relationships. And all relationships are built upon these three words ... Familiarity, Affinity and Trust. Since the beginning of time, people have made it clear that they prefer to do business with people they know (Familiarity), like (Affinity) and trust. All three are elements of Rapport. And that should be your ultimate goal in Social Media ... building Rapport, not collecting "Likes". Social Media gives you an opportunity, like never before, to get to know your customers - and potential customers - on a personal level. An opportunity to become more than a faceless corporation. Social Media is a place to make friends, not sales. A place to create relationships, not transactions. 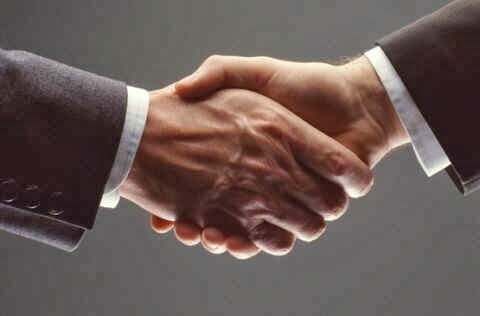 But if done right - and with sincerity - those friendships can certainly lead to sales. Lots of sales. Because at the end of the day, Social Media is just a new spin on an old concept ... Word-of-Mouth Marketing. Treat customers right. Give them something worth talking about. And they will spread the word. Social Media just gives them a much louder voice. So step out from behind the corporate logo and speak to people in a friendly, conversational tone. This is what builds familiarity, affinity and trust ... the three things that should be top priority in your social media marketing strategy.